Stock; the mothering life agent of so many sauces. The curer of illness and the base source of wellness. The heart of soups and risottos, it’s the soul in your bouillon and the pep in your Boulangère. It’s the core of the braise and the underlying subtlety in your stew. In culinary terms it brings life to your food. 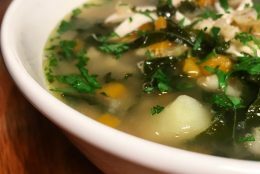 This is not so much a recipe but rather more an introduction and instruction to a very simple but intoxicatingly flavoured chicken stock along with a few simple tricks and tips to aid you in your efforts. Essentially any stock (certainly meat or fish based) is a combination of bones, vegetables, sometimes herbs, and water to slowly extract flavour from those ingredients to create a savoury liquid. 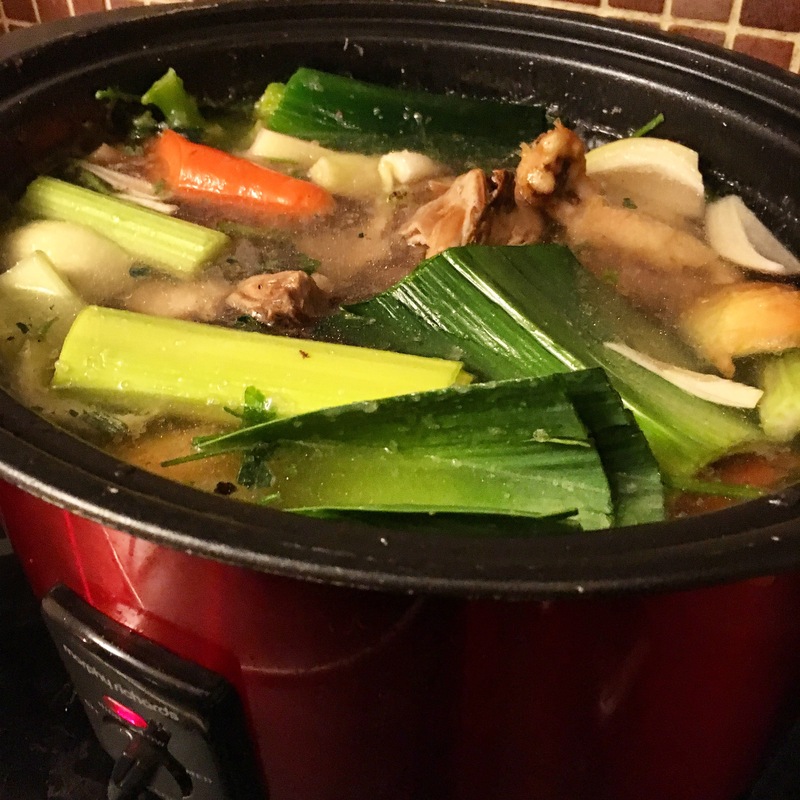 In this instance the slow cooker is for me the perfect conduit for such a venture, it’s low temperature gently caressing every ounce of goodness and flavour from the ingredients to create a gastronomic liquid gold. So what do you need? Chicken carcasses are good, chicken feet give a glutinous quality from the collagen content, wings are full of flavour, but fundamentally any chicken bone from the thigh to the wing are perfect for a stock. This is where your freezer comes into play at home. Have a roast chicken on a Sunday? Strip the carcass of any meat and pop it into a freezer bag until you’re ready to make stock. I’ve spoken on these pages before about the economic value in buying a whole chicken and jointing it yourself. Again, the remaining carcass here is excellent for stock. 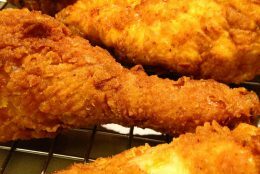 Using thighs for a recipe and need to debone them? Keep the bones, pop into the same freezer bag until ready to use. The beauty with stock is that many of your ingredients can come straight from the freezer so you don’t have to do a huge amount of forward planning. Other freezer tips include, freezing the green tops of leeks, which add a wonderful flavour to any stock. Make sure to keep any leftover parsley stalks, place them in a plastic container or freezer bag and add a handful to your stock recipe. Although I haven’t done it myself I’ve heard of others freezing clean carrot peelings and using them in the stock. The other ingredients are pantry staples like onions, carrots, celery, black peppercorns, and bay leaves. If you have raw bones or carcasses try roasting them in a moderate oven for about 20 minutes to intensify the depth of flavour. When storing, pour into freezer bags and lay flat in the freezer for a space saving tip. As said earlier, this is less of a specific recipe and more of a guide. 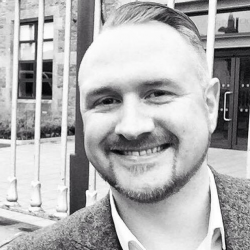 As you’ll come to find out there are no finite or incredibly precise amounts but I’ll endeavour to point you on the right path. 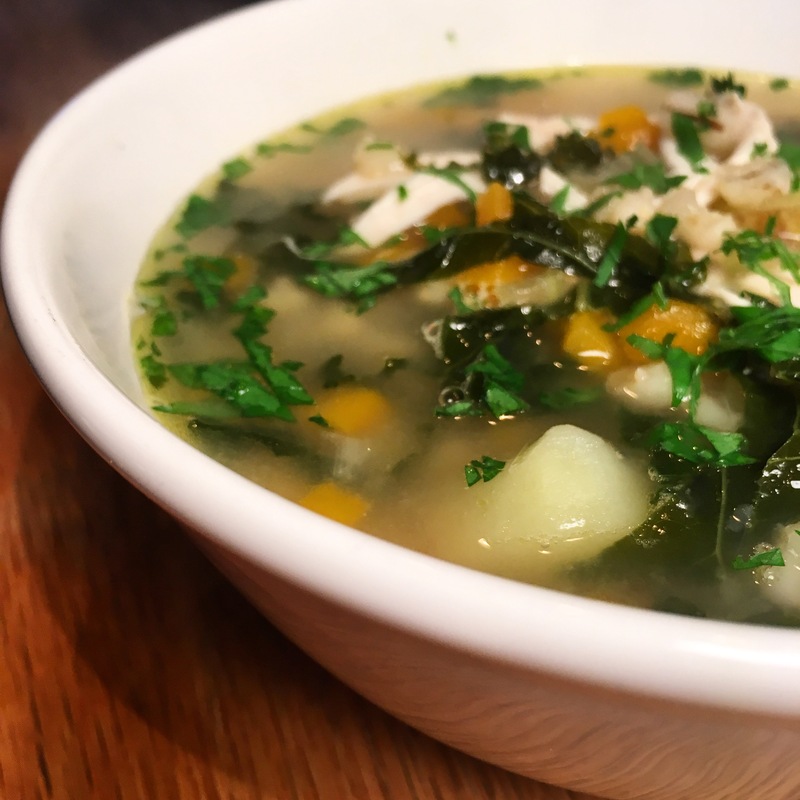 Try it in my chicken, barley, and kale soup here. Place all the ingredients into the slow cooker and top up with approximately 2.5 to 3 litres of water. Turn the slow cooker on to low. Leave to cook slowly overnight. In the morning, strain the stock, and sieve if necessary to remove all bones etc. Bottle, bag, put into containers etc. Your stock will keep for 3-4 days in the fridge or 3 months in the freezer. Hey Buddy!, I found this information for you: "Slow Cooker Chicken Stock". 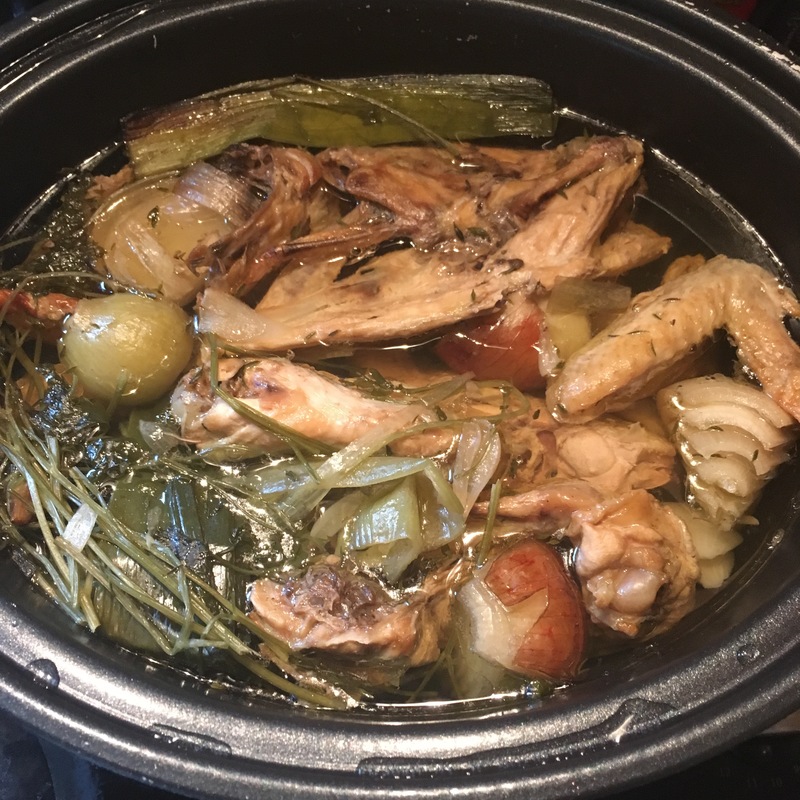 Here is the website link: http://www.aglassofredwine.com/2018/03/15/slow-cooker-chicken-stock/. Thank you.